rebecca likes nails: Welcome to The Lacquer Legion! Hey everyone! I'm really excited to be sharing this post with you today - get ready for a new nail art initiative! As a community, nail art and nail polish enthusiasts love helping each other out and being a part of group projects! I could name a bunch off the top of my head (such as the 31 Day Challenge) and they're definitely a favorite of the participants and readers alike. We all know how hard it can be to get inspired for nail art, and collaborating definitely helps us keep going, makes us push ourselves to try new things, and we all work better when we work together! So when my friend Sarah of Chalkboard Nails came to me about wanting to start a new community nail project, of course I was in. 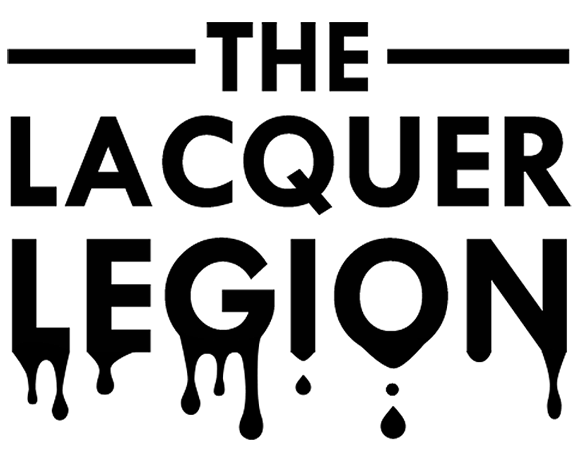 With the help of two other lovely ladies - Leslie of work / play / polish and Sammy aka The Nailasaurus - we have formed The Lacquer Legion, and we hope you'll join in and be as excited as we are! 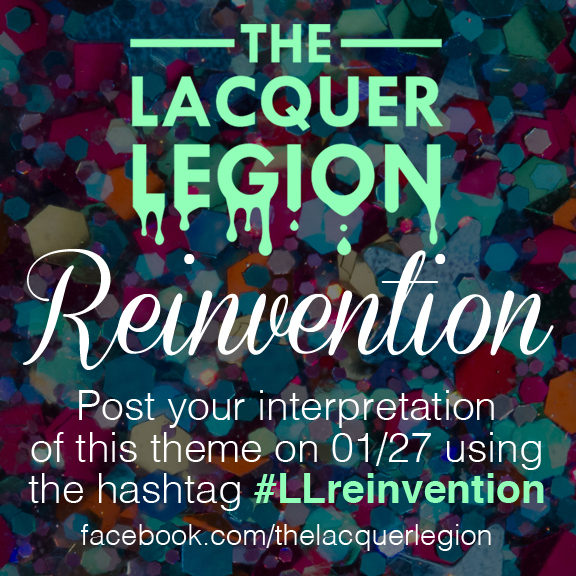 The Lacquer Legion will be a once-a-month, no-pressure endeavor, where we will put out a theme/prompt for your interpretation. On a set day, we all will post our resulting manicures! And we will use a hashtag to keep all our posts together and make them easy to find across social media. And hey, we all find ourselves in a slump sometimes - no biggie if you don't wanna participate every month. The commitment is low but the end results should be great! So what's the first theme? Reinvention! This theme is really perfect for me especially, considering the blog reinvention I am working on. I really couldn't be more excited about all that is going on! And I'm delighted to be sharing this great opportunity with the rest of the Lacquer Legion and all of you guys! If you have any questions, pop on over to facebook.com/thelacquerlegion for more info (be sure to “Like” it for updates)! The four of us will be watching the page to answer any questions. We really hope you will participate in this awesome opportunity to have some fun with fellow members of the nail community!